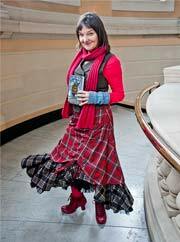 This week I return to an earlier interview I did with Scottish storyteller and award-winning children's author Janis Mackay. The programme begins Sunday 3 September at 7am ET (Canada/US), 12noon (UK/Ireland) and 9pm (Australia). Check www.bluesandrootsradio.com to listen. If you miss Sunday's broadcast, listen again on Thursday at 5:30 ET (Can/US), 10:30pm (UK/Ireland) and on Friday at 7:30 am in Australia. I am so interested in storytelling and I listen to your show very keenly. I must say that you are promoting this very well. Keep it up!